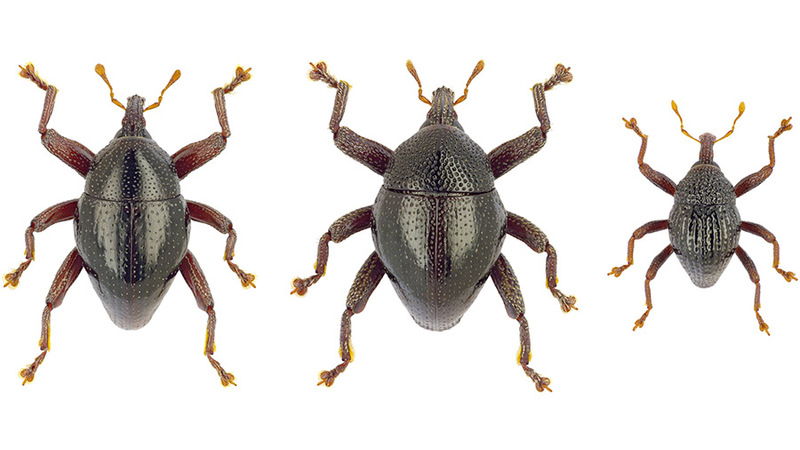 From left to right: Trigonopterus asterix, T. obelix and T. idefix, three newly described species from Sulawesi (Indonesia). Image by Alexander Riedel. Dense mountain forest of Central Sulawesi, where some of the new species have been found. Image by Alexander Riedel. 103 newly discovered species of the genus Trigonopterus from Sulawesi. Image by Alexander Riedel. The flightless beetle species Trigonopterus chewbacca, described as new to science in 2016. Image by Alexander Riedel.